Minibus Transport Solutions is the name of trust for making your journey convenient, comfortable, swift and prestigious. We provide Minibus Hire Services in Gants Hill our services are cost effective, economical but available at competitive basis to all other such services. You can find luxurious minibus and cabs at cheap prices. It is available everywhere in the city. Minibus hire Gants Hill is available with qualified and experienced staff. It is available for theme tours, business trips, family events, hill station tours etc. MTS provide Minicab Airport Transfer Services from Gants hill to all famous airports of UK you can book minibus or taxi to Heathrow airport, Gatwick airport, Stansted airport, luton airport, London city airport, Manchester airport, Birmingham airport, Glasgow Airport Taxi with Driver services and all those facilities which you can imagine. We provide both pick and drop to all these places along with professional help regarding your journey and necessities for your travel. Moreover, we also provide Taxi Service to and from Seaports as well. For that purpose our service is having 7, 8, 9, 12, 14, 16 seater minibuses having spacious space for your luggage and belongings. In addition to this, we have provided special cages made in the vehicles for your pets. 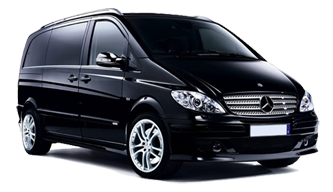 Therefore, minibus hire Gants Hill is the name of comfort, prestige and grandeur for your travel. You can gain access to our service by just a call at any place. Our service is available 24 hours a day and seven days a week. By using, minibus hire Gants hill, you do not need to worry for security as our vehicles our guided by trackers, emergency alarms, navigators and lot more. We are just a call away for your help. So rush to make a call whenever you need us.